When remodeling the kitchen in your Richardson, Texas, home, you’ll want to be certain you put your renovation in the hands of trusted and skilled professionals. By doing so, you can better ensure that your dream kitchen will come to fruition and that you will enjoy as stress-free of an experience as possible. For top-notch remodeling services, turn to the experts at Star Home Remodeling. Since 2007, we have been customizing our clients’ homes to better reflect their aesthetic preferences and cater to their needs, and we’ll be delighted to do the same for you. At Star Home Remodeling, we take a consultative approach, focusing on educating our clients about all of their renovation options. This means that when you partner with us for your kitchen remodel, you can feel confident you will receive all of the information you need to make the best decisions for your home remodeling project. We will always be transparent and upfront about the costs and construction time related to your project so that you are comfortable and happy with your renovation project from start to finish. And, as a full-service home remodeling company, we can complete all aspects of your kitchen makeover, making us a one-stop shop for your renovation needs. Furthermore, we can provide you with the stunning upgrades you’d like to include in your kitchen remodel. Are you ready to cook and bake in a kitchen that has been fully customized to your precise preferences? If so, contact Star Home Remodeling today. 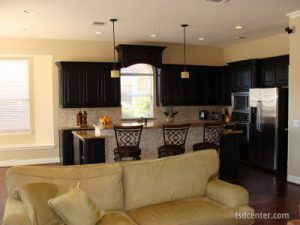 One of our experienced and friendly associates will be delighted to answer any questions you have about the kitchen remodeling services we offer to homeowners throughout the Richardson, TX, area.